Pete The Cat is my new favorite story. I discovered it while attending the Southern Independent Booksellers Alliance Trade Show and wanted to share it with your kids (and you!). Hope you enjoy it as much as we have! I don’t have a small child at all…but I loved this story. I think even an old 54 year old woman can learn a lot from this story. My 4 year-old son loved it! I am a preschool teacher and would also love to read it to my class! Thank you so much, Stephanie! I had never heard of it before and when I read it I thought “Wow, so many kids need to hear this!”. I think it could really help them learn to cope with ups and downs and remain positive. I loved this story! I’m going right out & buy several copies. One for my granddaughter, one for her little friend, & one for my best friend (she’s over 50) that loves cats!!!! What a wonderful Christmas present!!!! Thanks for sharing! I’m with you, stories like this are just as delightful for adults as they are for kids! Love “Pete the Cat” We were introduced to this book while my three year old son that has autism was in one of his therapy classes. He fell in Love with this book and the cd that you can get with it! He knows the story by heart now. I want to let you know of two more great books that we were introduced to at therapy class also that are awesome books ” I Got Two Dogs” and “Marsupial Sue” both by John Lithgow and both are available with cd’s also. 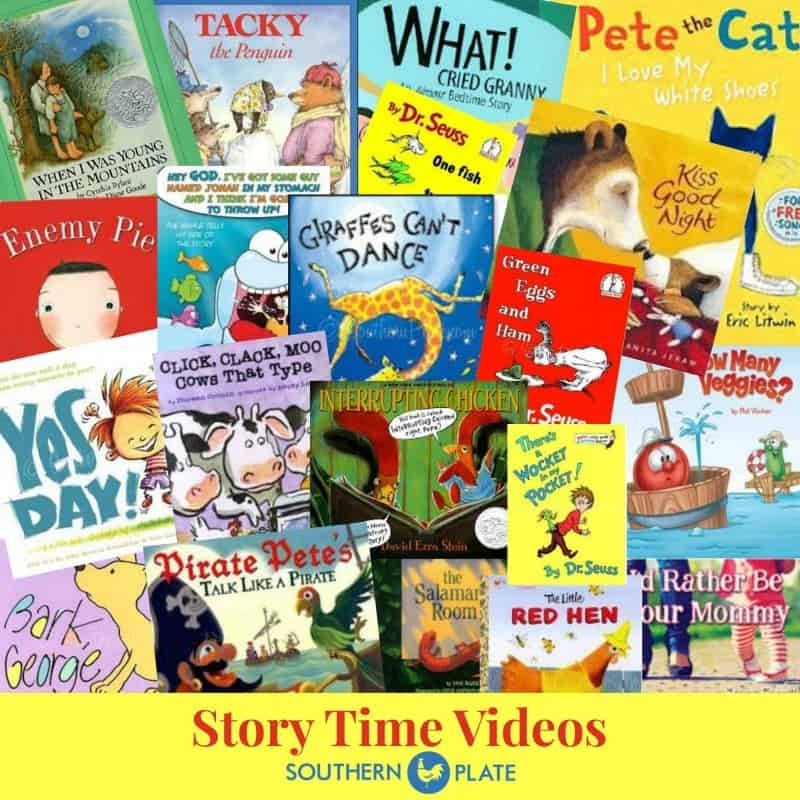 I think you will fall in love with these children”s books too! My son is loving watching you read this on here. Thank you for entertaining my son and making my family happy with all your great recipes! Thank YOU sherry! i’m gonna go look up those books now!!! miss Christy: I like you reading to me and everybody else. You sing good. You need to read more story to us. It was fun. 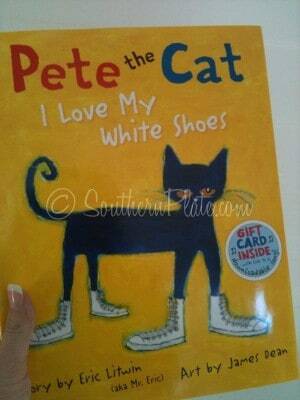 and i like pete the cat and his funny shoes!! Thank you so much, Conor! I’m so glad you liked it and you are so sweet! I’ll be sure to do more stories since you told me you liked this one! I’m 27 years old and I don’t have any children but I enjoyed you reading “Pete the Cat”. Cute cute cute, loved it! You know, when I was about your age (just a few short years ago), I bought myself a copy of the Little Engine That Could to help me get through a challenging time and it sure did. I think this book is a lot like that one, a life lesson that bears repeating no matter the age! I’m so glad you enjoyed it and thank you! I loved this book. I can’t wait to buy this for my sweet little granddaughter. Eva Kate! Eva Kate is a lucky little girl to have such a wonderful and loving grandmother!! My 4 year old twin grand-daughter’s just listened to the story you read. And they were glued to the computer screen. What a cute story, one of the girls started singing right along with you. And girl if Southernplate should ever fail and we know that would never happen but just saying, You could alway’s start a singing career. You have a really nice singing voice. A recording contract could be just around the corner. Hey Sheila’s granddaughters! ~waves happily~ Thank you so much for listening to my story. I’m really glad you liked it as much as I do! I knew I heard someone singing and then when your Grandmother told me it was you two, I was so excited that I sang even louder! Grandma Sheila, bless you for putting up with me and being so gracious and sweet! I love to sing and I know my poor kids wish I didn’t somedays! Thank you for letting them listen! I love this book!! I can’t wait to get my hands on a copy of it. My three children are going to hear this as many times as they will listen to me read it to them. I think I will also have them read it to each other. Keep on reading to us, you’re great!! Thank you SO MUCH! ~grins~ I had fun doing this. I really love getting to do different things on SouthernPlate and I appreciate y’all letting me! Are you kidding me? This book is for adults–those of us who get our shoes dirty every day. Thanks for picking me up and making me realize that I love my shoes regardless of what color they are and where they may lead me. Christy..thank you for reading and singing this story..I LOVED it!! I will have to get Pete the Cat for my grandbaby!! One of my favorite childrens (although I buy it for new Moms ) books is..Love you Forever!! I can’t get though it without choking up with emotion!! Love you! I know what you mean, Tina. I have a friend who has told me about that very book, and she says she can’t get through it without crying, too! I’m the same way, I truly can’t read that story to my kids because it just breaks my heart! I do read P.S. I love you though! I started not to read this….So glad I did. What a great story with a lesson for us all….. Just keep walkin’ and singin’ your song… cause It’s all good….no matter what you step in…. This book will be given to my 4 grandbabies…..6,4,2 and 10 months. My auntlings would love Pete the Cat. The Nephew really loves books since he has started preschool. You’ll read to them tomorrow since I won’t see them before then. Oh, Christy! My 19month old little girl just loved you reading to her. She sat through the whole thing, and I asked her if she liked it and she smiled and nodded her head. Then she waved byebye and blew you a kiss! We’ll have to get the book soon. Thanks for reading to her! This book will probably be under the Christmas tree for my 2 grandchildren! Made me feel like the Energizer Bunny when you finished reading it!!!!! I think story tellin’ is great for our little ones … THANKX A BUNCH!!!! will make a great Christmas gift this year !!!! she gets a free book in the mail monthly and has since she was itty bitty. I think it goes thru 5 or 6 and is in tons of communities. Yay! We love Pete the Cat, too! Great job, and thank you for posting this! My daughter loved hearing you tell that story. my 5 five year old is at her grandmothers, but my 3 month old loved it! she was talking back to you the whole time! we try to read to our girls every day, it’s so important! Dear Mrs. Christie, my Mommy is wrinting this for me. I really enjoyed “Pete the Cat”. Please read more stories when you have time. Thank you very much. This is Callie’s Mom, we really loved the book. Also, Page and Pallette is where I am coming to see you…….IN 13 DAYS!!! Can’t wait. My 17-month old son LOVED you reading Pete the Cat. He barely even blinked while you were reading. When you were finished he clapped and blew you a kiss. He’s ready to watch it again. Thank you so much and I look forward to sharing future book readings with him. I’ll definitely purchase this book for him. I too think it’s a great message for adults; in fact, I needed it today. Thanks again! Christy Jordan, God bless your soul. That was a wonderful story and you did an excellent job reading it. You also gave me the best idea and that is what I am the most excited about! My oldest daughter lives in Oklahoma. I grew up there but after I divorced my husband a few years back, I needed distance between him and I so I now live in southern California. Anyway, my first grandbaby (Jeremy) was born this last July. I was there for his grand arrival, but I miss him like crazy!! I love to read and I have been trying to come up with a way that I could read to him. His mama doesn’t have the internet or it would be easy. Your post today actually gave me the idea. I could read books to him just like you did in this post and save them on a CD and mail them to him. 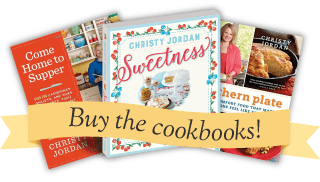 I love your stories, your recipes remind me of my mom and grandma’s cooking and am so thankful for your willingness to share your life and recipes with all of us. my grandson , Pete loved you reading Pete the cat to him. . he loves your website. My boys watched this yesterday and then watched Kiss Goodnight (we have that book too) this morning and requested Pete the Cat again. Thanks, they love Ms Jordan and can’t wait for more!